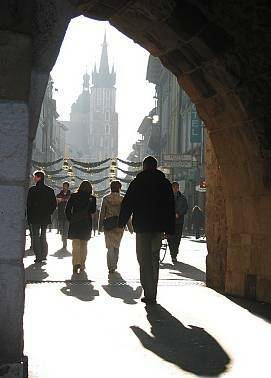 The City Cracow was awarded the distinction for the street decoration in 2004. It was especially thanks to high quality of the project designed by AMR CAMPANIA. 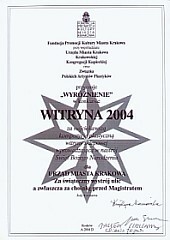 The distinction was a part of WITRYNA'2004 competition. It was a very important distinction for our team that gave us a big satisfaction as in the jury there was also The Association of Polish Artists and Designers. We invite you to Christmas gallery where you can find also the pictures of prize decorations in Cracow.